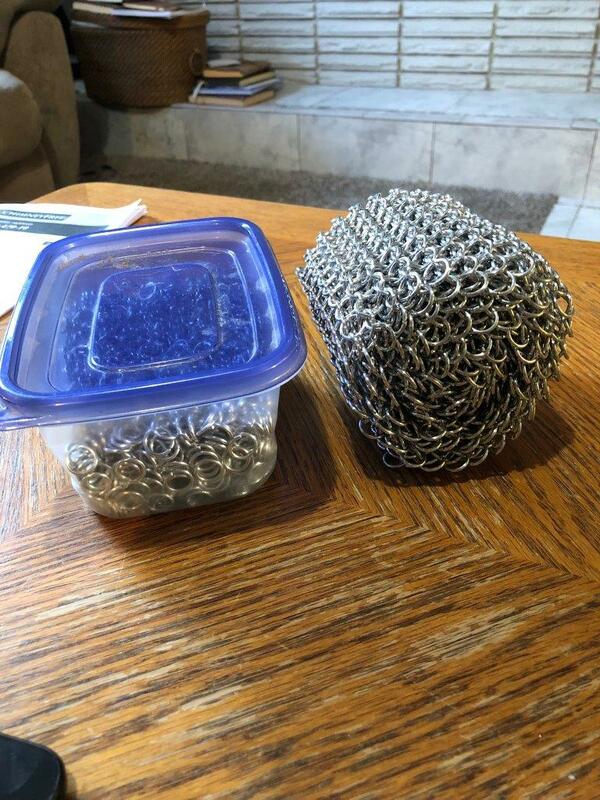 One of the cool things about European 4 in 1 chain mail is how it changes shape depending upon which direction you pull at it from. A piece hanging in its “natural” direction is typically much narrower across the same rings than when it’s turned 90° on its side. 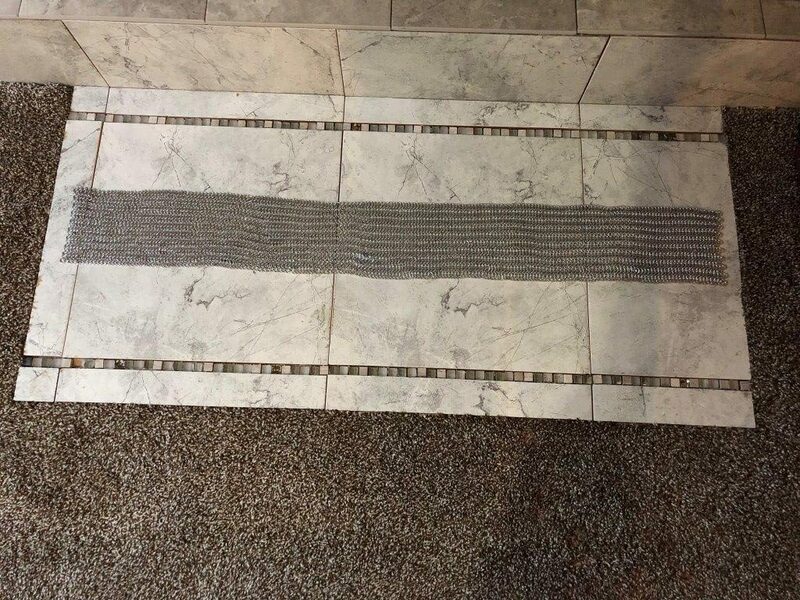 This piece is 45 inches long laid out this way. If I stretch it lengthwise it’s big enough to wrap around two of me. There are 2,879 links in this chain. Every one of them formed and joined by hand. I’ve got a long way to go, but about six to eight more pieces the same size will probably be enough to make everything below the sleeves for the shirt I’m working on. It is fun, but it leaves my hands tired and stiff. The joints in my hands are fine. It’s the muscles that ache after a long session. I end up with a lot of aluminum oxide on my hands and fingers too, so I find myself washing them a lot and following that with lotion to keep them from drying out.